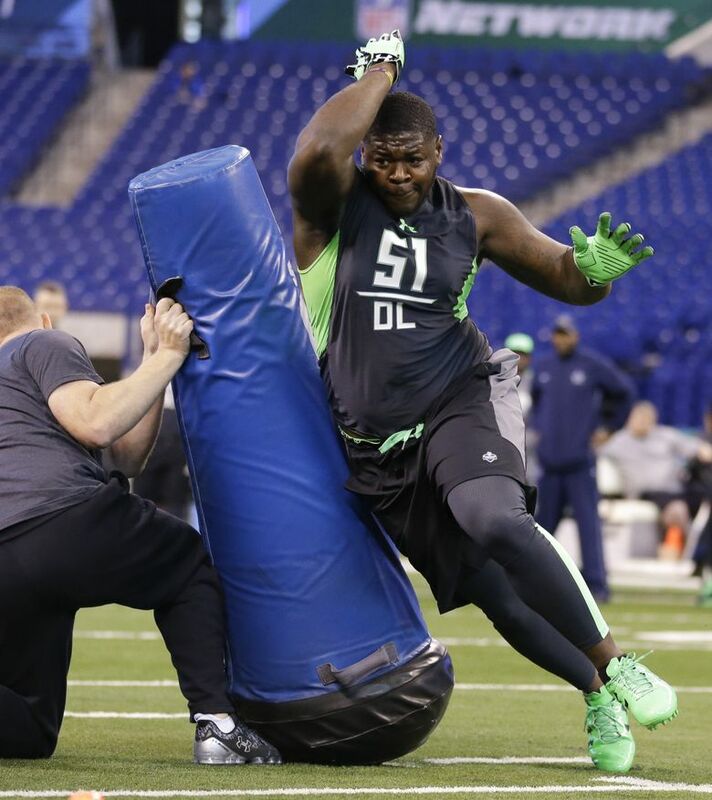 The Seahawks traded up in the second round to draft defensive tackle Jarran Reed, filling another one of their needs. Personal: Reed was a 10-pound, 7-ounce baby — the second biggest baby born in Craven County, N.C., that year, according to the Huntsville (Ala.) Times. He wasn’t heavily recruited as a linebacker out of high school, so he went to a military academy for a year, hoping to attract more attention from the big schools. He switched to defensive line there but didn’t qualify for college and attended East Mississippi Community College for two years. He was arrested and charged with DUI in 2014 while at Alabama. He was the last player left in the green room in Chicago. Overview: General manager John Schneider said after the first round that the Seahawks had two options in the first round: offensive line or defensive line, depending how the draft fell. They took an offensive lineman, so it was not surprising when they traded up in the second round to grab Reed, considered by many analysts the best defensive lineman left in the draft. Reed was viewed as a potential first-round pick, and he has a chance to start immediately defensive tackle after the departure of Brandon Mebane via free agency. Even if he isn’t the Day 1 starter, he helps restore depth. He is a run-stuffer, something the Seahawks needed. Seahawks second-round 2016 NFL draft pick Jarran Reed, defensive tackle from Alabama, speaks with Seattle media via conference call at the VMAC in Renton on Friday after his selection. Jayson Jenks: 206-464-8277 or jjenks@seattletimes.com; on Twitter: @jaysonjenks. Jayson Jenks is a metro general assignment reporter for The Seattle Times.